Many couples are sharing their homes with a roommate in order to cope with heavy housing costs, according to a report from Trulia. This phenomenon has reportedly become more common over the past two decades, particularly in the country’s most expensive markets. Last year, nearly 4.2 million (3.28%) households took on boarders or roommates. And while only about 0.46% of couples shared their married households with other people, that’s more than double the rate observed in 1995. 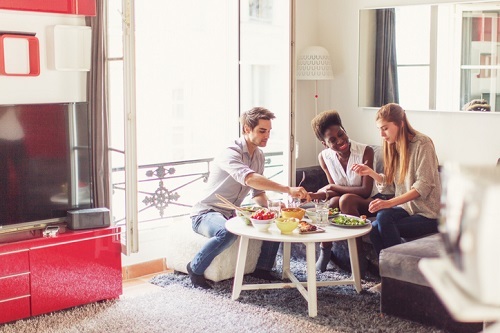 The reason, according to the study, is that living with roommates helps mitigate housing costs – for all parties concerned. Housing markets in Honolulu and Orange County, Calif., have the highest rates of married couples living with roommates – between four or five times the national average, according to the study. “Among the 100 largest metropolitan areas, those with higher rates of married couples with roommates also tend to have higher home prices. Indeed, on average every $100,000 increase in the median metro home value corresponds to a 0.25-percentage-point increase in the share of married couples with roommates, which is more than half of the 0.46% national rate in 2018,” Young said.